Watch the full interview with Virginia Gov. 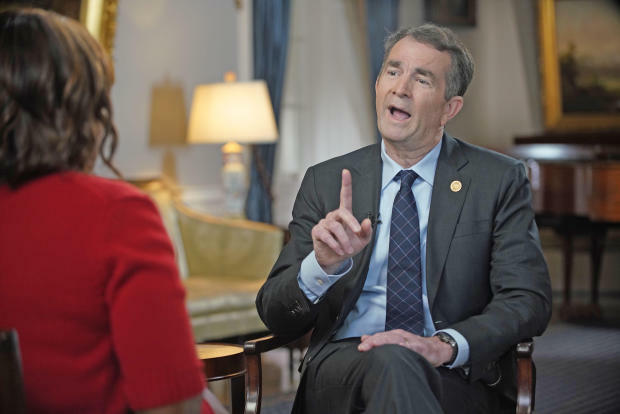 Ralph Northam on "CBS This Morning" on Monday, Feb. 11, 2019, 7 a.m. to 9 a.m. ET. Virginia Gov. Ralph Northam says he considered resigning in the wake of the ongoing controversy embroiling his office, but told "CBS This Morning" co-host Gayle King he's "not going anywhere." GAYLE KING: –sexual inappropriateness, and they both said that if there is an impeachment hearing that they will testify against him. Where do you sit on how you feel about Justin Fairfax today? Are you too, calling for him to step down?